The Glock handgun; easily recognizable, prolific, accurate and dependable.Â In use by as much as 60% of law enforcement, Glock has become one of the most popular and venerable handguns to fill many roles at once; every day carry self-defense, police and military sidearm, competition pistol and range toy.Â Itâ€™s hard to go anywhere around guns, in person or on-line and not see the Glock footprint.Â All that said, Glock can be improved to meet the users taste, needs and style and these days there is no short list of companies doing aftermarket work on the Glock to make it better in one or many ways. Once Kelly McCann put an RDS on a carry gun, it was only a matter of time before the rest of the shooting world took a serious look at doing it and not long at all before a brave soul milled the very first slide to allow an RDS to sit at sight height.Â Since then, Glock has been and continues to be one of the most popular platforms for red dots (reflex sights) on handguns.Â Â Add that fact to the basic shape of the Glock; the unmistakable rectangular shape that is functional but utilitarian, is a blank canvas that lends itself well to slide cuts that are both functional and aesthetic and you have an industry that caters directly to customizing one of Americas favorite handguns. When I moved from H&K to Glock as my everyday carry, stippling was a new thing to most shooters and slide modifications where still conservative (for carry guns, at least).Â Today, I can scroll through my Instagram feed or check out the popular gun blogs and see all manner of modified Glocks with designs from simple to very extreme.Â Â Not all of these modifications are good and not all the companies doing them are doing good work. For me, there are a large number of companies doing cosmetic improvements to the Glock and a small handful doing really functional improvements; even less doing both.Â A slide cut is a slide cut and sometimes the guns begin to look the same, after all, you can only do so much with a rectangle piece of metal. Late last year I was introduced to Agency Arms by Booth of Armordillo Concealment.Â They were a new (not new to the industry but new as a company) after-market modifier looking to get a few guns into the hands of instructors and shooters for evaluation.Â Â One look at an Agency improved Glock and I knew I had to get my hands on one.Â I sent them in a Gen 3 17 and opted for their Field package. 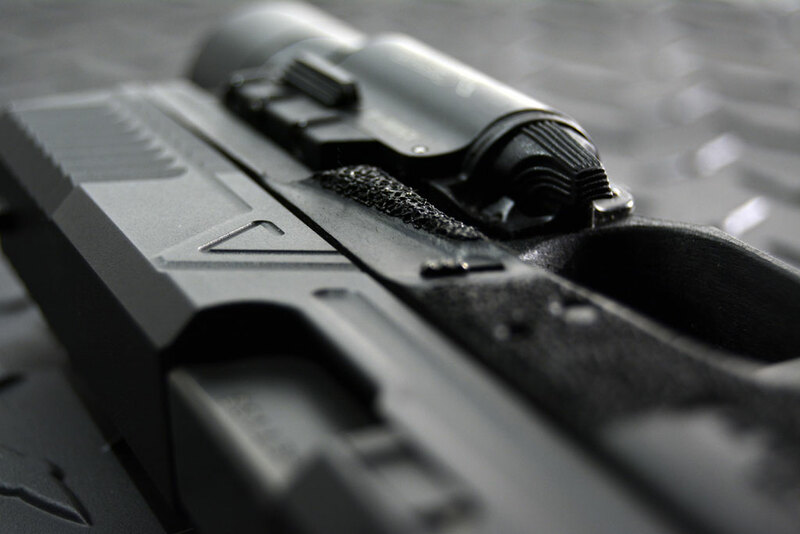 The Field Package is their hard use offering; no windows in the slide and the aesthetics are kept to a minimum.Â Agency installs their proprietary trigger and cuts for the reflex sight of your choice.Â If you donâ€™t yet have an optic or want to run irons only, each gun comes with a striker plate that covers the optic cut while the optic is not mounted, well except for mine.Â My only request was that they cut mine so the rear sights were forward of the optic, not behind meaning I didnâ€™t get a striker plate.Â Â I honestly donâ€™t know what I was expecting from Agency before my 17 came back to me; the guns certainly looked impressive but would they perform? As with any mechanical device, there are engineered tolerances and weight that factor into the original design.Â Remove too much weight or alter a surface too much and you risk creating an unreliable product.Â Re-engineering the tolerances may require that the firearm be used in a near-sterile environment to run reliably, or you may need special springs or low power ammo.Â These were concerns I had with the Agency gun, just as I have with any aftermarket handgun.Â Would the modifications made by Agency make the Glock better, or just make it look better? The testing of the Agency Field Edition was my standard testing; I keep it realistic.Â I want to introduce the gun to harsh environments but nothing outside the bounds of what one could realistically expect a firearm to encounter.Â I pre-cleaned the Field Edition and then set to my 2000 round evaluation.Â My ammunition used was 115 grain S&B, 115 grain Tula steel case, 124 grain Gold Dot and 124 grain Federal HST. The very first thing you notice about Agency guns is their trigger; a flat profile trigger that is very well thought out.Â It has an unobtrusive trigger safety; unlike the standard Glock trigger (or all the after-market Glock triggers I have seen), the trigger safety is recessed well, itâ€™s still there and still functional but it doesnâ€™t interrupt your finger contact on the trigger body itself. The Agency trigger maintains a good width and the actual pull is positive; very little pre-travel, a clean break and very little over travel.Â Because itâ€™s a flat profile, the physical trigger movement needed is slight while maintaining a reasonable weight.Â The entire trigger press from contact to reset has positive pressure; there are no dead spaces or spongy movements, the 4 lb trigger on my test gun was well suited to precise, constant pressure for a difficult shot or rapid movement for fast shooting.Â Even when the gun became fouled from shooting, got wet, muddy or frozen, the trigger maintained its performance and gave me zero issues.Â I donâ€™t know how many hours, weeks or months went into their trigger design and engineering but it was time well spent. 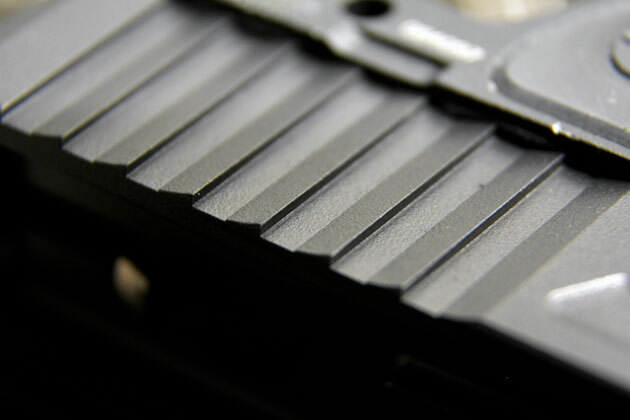 The Field Editionâ€™s slide work is as functional as it is good looking; the rear serrations are angled into the slide, providing a very positive grip surface without changing the overall pattern; the added front serrations give equal, if not greater gripping friction for positive use. Weight reduction cuts are minimal on this model but the difference is easy to feel during recoil.Â The cut for the RMR is precise.Â Some aftermarket companies ask you to send in the optic you intend to use so they can get an exact fit.Â Agency doesnâ€™t ask for this and that initially gave me pause, though when the gun came in and I mounted a RM07 6.5 MOA Trijicon RMR, the fit was exact. 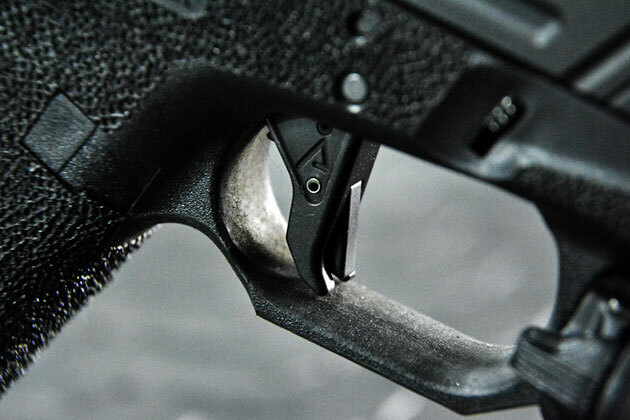 The frame work isnâ€™t just your standard stipple and trigger guard undercut; the primary hand grip has the finger groves removed and a high bite laid into the rear of the guard while instead of including another radiused bite for the support hand, Agency mills the overall thickness down and removes the forward toe of the trigger guard.Â The best feature of the frame however is what they call the Accelerator pad.Â An angled ledge just forward of the takedown lever provides a positive indexing point for your support hand thumb and a leverage point to help keep the muzzle flatter during recoil.Â Iâ€™ve seen this done to polymer guns before and there is at least one company making a device that attaches to the frame of certain guns for the same purpose but this is the first time anyone has included such a feature as part of their custom work and once you use it, itâ€™s a necessity. Agency does something else I really like; they leave whatâ€™s right alone and focus on improving function.Â Only three parts are aftermarket in Agency guns, the trigger shoe, trigger safety and safety plunger spring, every other part is OEM Glock with fine tuning performed.Â Some aftermarket guns include specially coated, match grade barrels that increase the cost of the firearm and actually do very little to improve noticeable performance.Â While accuracy is largely subjective to the skill of the shooter, this gun does its part.Â Â I had no issues hitting 8â€x8â€ steel at 100 meters with my review gun and I knew it would be consistent because itâ€™s the OEM barrel already known for accuracy and reliability; the ease of accuracy is improved by the trigger, not an increased lubricity match-grade barrel.Â Â When run fast it’s very manageable, maintaining respectable to impressive groups at common handgun distances. 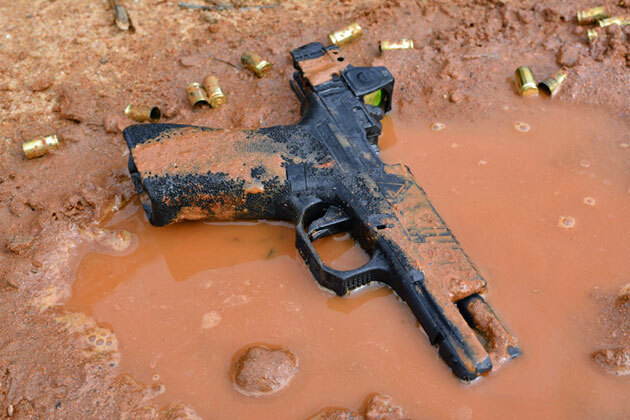 Overall reliability is still there; over the course of 2000 rounds the gun was not cleaned or lubricated; it was shot and allowed to cool, then ran hot again and again without fail.Â Water, mud, and freezing did not cause a single malfunction, just like a stock Glock.Â Accuracy, consistent trigger press and functionality is there from first round to last no matter how dirty.Â I know without a doubt that another 500 to 1000 rounds or so and I would begin seeing malfunctions, though no one really expects to work a handgun to that level of use without a thorough cleaning or at the very least some additional lubrication.Â That said, if I had to take the Field Edition 17 and carry it right now as is, I would without hesitation (but I would clean it as soon as possible). So is an Agency Arms Glock what you are looking for?Â Itâ€™s certainly what I have been waiting for.Â At the end of my 2000 round test I put my EDC Zevtech 19 up for sale as I will no longer have a need for it.Â It has been a great gun and one I trusted my life to daily, but itâ€™s not an Agency and the improvements Agency offers in their packages is exactly what Iâ€™m looking for.Â They produce a hard-use functional gun that also looks good and at the end of my review Iâ€™m confident that they choose function first and form second when improving upon an already reliable weapon. The Agency packages run $1400, a well worth it deal considering the cost of other after-market packages.Â Yes, they are a new company but if I have learned anything in my time in the industry, your time in business is not an accurate measure of the quality of your product.Â Agency Arms quality is in what they improve and what they feel needs no improvement. They make a nice looking firearm. That being said, I don’t need a firearm to pretty to use and abuse. That is why my 1911 sits at home while my Glock 19 rides on my hip. If you are spending $1400+ on a glock you have more money than sense. Adam, what is an acceptable amount to spend on a handgun? Hello brandon, in my opinion, an “acceptable” amount to spend on a handgun would vary greatly, depending on the use you had for it. If you plan to take it into competition, then $1400 isn’t bad, until you factor in the cost of the optic, and the origional firearm. Now you’re sitting at over $2000 for a glock. Glock are nice, but you can do much better for over $2000. If you just want something to shoot. I spent $328 on an Arcus 98dac. And after 3500 rounds (almost probably closer to 3300) it has had 1 malfunction, which was in the first 50 rounds. If you take care of a firearm, it doesn’t need to be expensive. I have been shooting/collecting for 4 years and have owned handguns ranging from $150 to $1600. Probably around 40 different handguns over the past 4 years. Thanks Michael, but I was being somewhat facetious. The point I was trying to make with my question is that ideas like “expensive” and “cheap” and “worth it” are relative. To each their own, if you will. 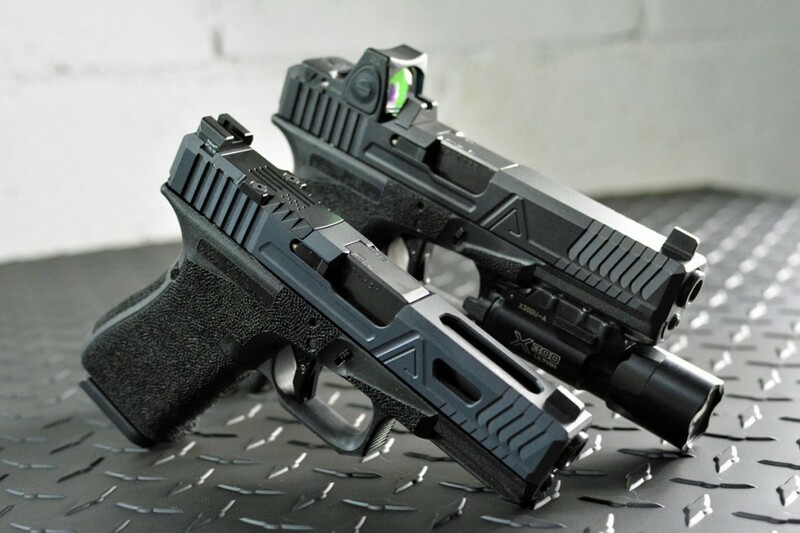 Another high value gun that might interest you is the Canik TP9SA. I have one and it’s proving to be quite a nice gun for the money. I actually CC an old S&W 411 that I have kept in near perfect condition. I have never had a single malfunction. But as you mention, too much $$$$ is very subjective to the person who will carry it and be using it to defend themselves or their family. You can not really put to high a price on a reliable weapon in that sense. Glocks are definitely good guns and worth it to some. I wouldnt mind a weapon like this but I can not justify the added expense as I am not a collector. IMO, If you spend more than double the amount in “improvements” than you spent on the firearm itself, it may be time to rethink your needs, and your choice in firearms. Competition is a different story. I totally agree. Modifications should never exceed the retail value of the gun, except in the rare instance where it makes it a valuable custom commodity (like custom builds made by the CZ Custom Shop). 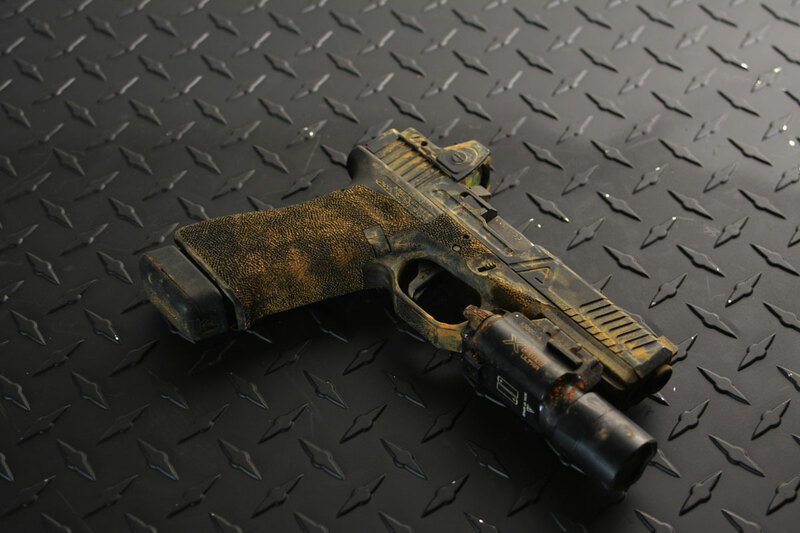 As far as modding a glock goes, it kind of irritates me that a heavily modded glock does not feel significantly better than a stock one. Then of course its resale value is fairly dismal afterwards. I own a few glocks and although they have many shortcomings, used parts are easy to come by and I shoot them well. For that much I can get Wilson Combat or Blackhawk! I’ve carried a gun professionally, I’ve competed, and I have carried a weapon on a daily basis for 20+ years. My personal daily carry, beat around gun has $1000 in it just with needed mods, (trigger, sights, stippling, light etc) How much is my families life worth? I’d say $1400 is a bargain for this weapon! It’s not about brand recognition it’s about a reliable tool to protect the lives of those around me. Great review. I have a question abit off topic but that Aaron might be able to answer after shooting 2000 rounds. 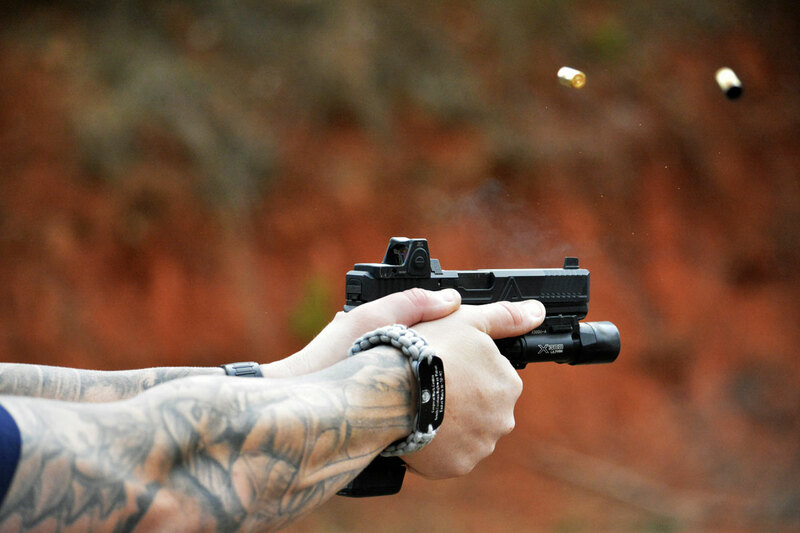 Did you have any issues with the RMR turning off unexpectedly while shooting? I just purchased an RMR and had a slide milled out for it. My rmr didn’t go 200 rounds without having issues. I followed the instructions that from the company that milled the slide. In addition I ensures the battery was brand new and used a mounting plate and electrically tape between the battery and plate. Maybe I got a dud. I am contacting trijicon about it. 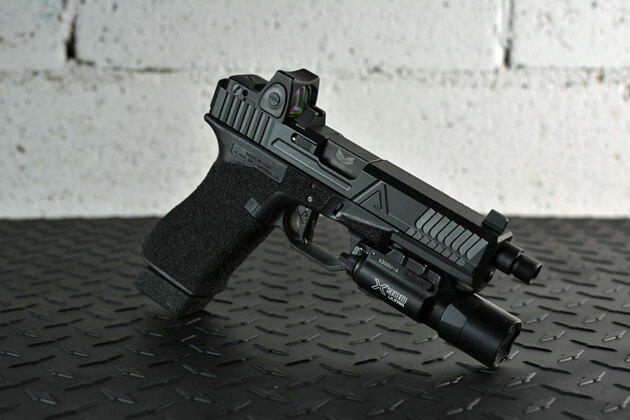 Do you have any thoughts on prepping the RMR for placing it on the pistol? In any event once again real nice review and video. If you’re using good batteries, then it’s probably the rare dud RMR. Trijicon will take care of it. Onesourcetactical has a Ti-Gold Ion bond sealing plate that’s a better option than the tape. Hey what iron sights are you running on the NON-RMR’d Glock?